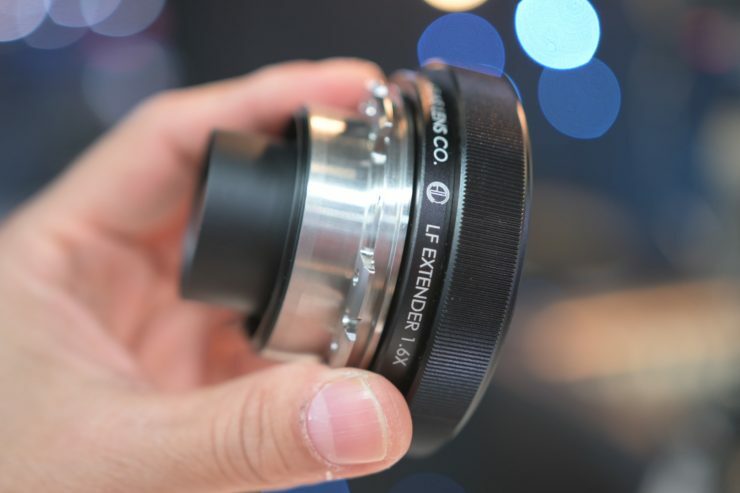 The Atlas Lens Co has announced an LF Extender at the NAB show – they were also showing a 25mm anamorphic prototype. 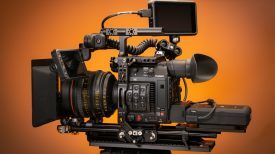 This will allow the company’s 2x anamorphic lenses (32mm to 100mm) to cover new LF-sized sensors like the ARRI LF, Sony VENICE, RED Monstro, and Kinefinity LF without vignetting. 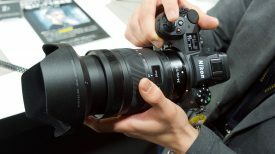 It will also cover sensors such as the Sony a7 series and other full frame mirrorless cameras. This might come as something of a relief to anyone that’s ordered a set of the lenses. 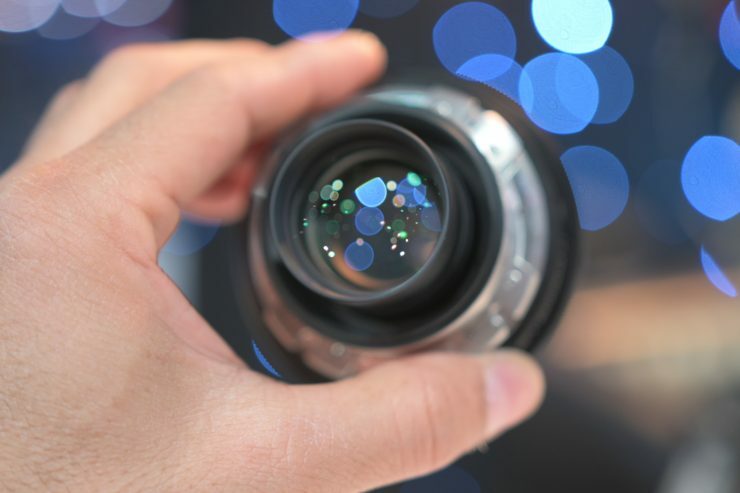 Their investment will be somewhat futureproofed as the camera companies’ high-end offerings embrace ever-larger sensor sizes. The LF Extender is available now and it retails for $2,000 USD. If you buy the LF Extender with any lens, or set of lenses it costs $1,849 USD. 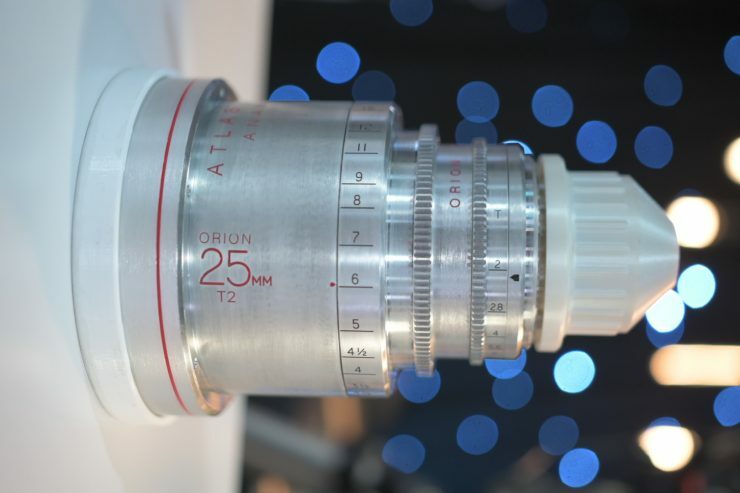 Atlas currently make Orion Series 2x anamorphics in 32mm, 40mm, 50mm, 65mm, 80mm and 100mm focal lengths. 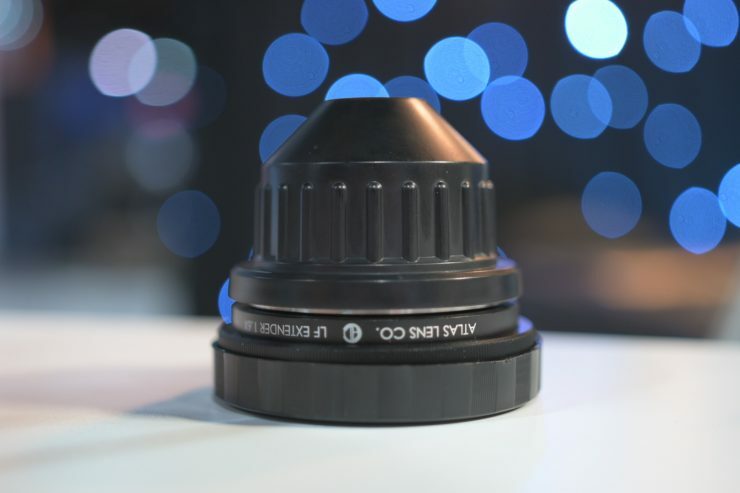 The company also has a working prototype of a 25mm T2 Orion lens which they were showing at NAB for the first time. The 25mm lens has a massive 134mm outside diameter and was apparently quite a challenging lens to design. Building a wide anamorphic lens is not easy, but Atlas has done a good job with keeping edge distortion to a minimum. We got to try out the 25mm and it certainly provides a really nice wide field of view. The lens has nice characteristics and produces nice flare and bokeh. There is currently no indication of pricing or a delivery date for the 25mm. 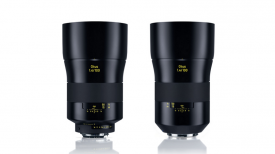 Atlas are currently offering an ‘A set’ of three lenses (40mm, 65mm and 100mm). The ‘B set’ featuring 32mm, 50mm and 80mm is also due to start shipping in the next 90 days according to the company. The ‘A set’ costs $23,995 US (with a $7,995 deposit) and the ‘B set’ $24,995 US, again with a $7,995 deposit. Atlas are hoping to ship them by the end of Q2 this year.